2Gig technologies, a Nortek company, is one of the biggest and most well known security system makers in the US. 2GIG Technologies is an acronym for the affectionately named 2 Guys In a Garage. According to the 2GIG the name came from their founders, Lance Dean and Scott Simon, who worked with another large alarm company that would flippantly refer to startups in the space as just “2 guys in a garage.” Since their modest beginnings, 2GIG has come to be a dominant player in the world of wireless security. Their flagship Go!Control system was the first self-contained security system. It supports CDMA and GSM radios, WIFI communication, and was one of the first systems to market to combine home security with the incredible benefits of home automation. As a hardware company 2GIG partnered with the Alarm.com early on to provide unparalleled interactive experience. 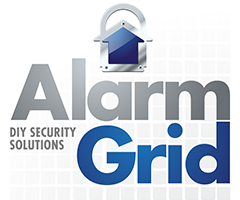 Using Alarm.com one can arm and disarm their system and use any of the Z-Wave home automation devices that they have installed in their house. The 2GIG panel acts as an incredible, robust control unit for the center of the home. In 2013, 2GIG Technologies was sold to the publicly traded juggernaut Nortek Inc. for the princely sum of $135 million. Nortek is a brand management company comprising numerous well known HVAC and hardware makers like Frigidair, Westinghouse, Maytag, Proficient, and Gibson. Their addition of 2GIG combined with their Z-Wave lighting brand Linear, means that 2GIG, unlike every other security company, has the incredible advantage of being manufactured and tested under the same roof as a Z-Wave manufacturer thus making integrations far more robust and ready out of the box.